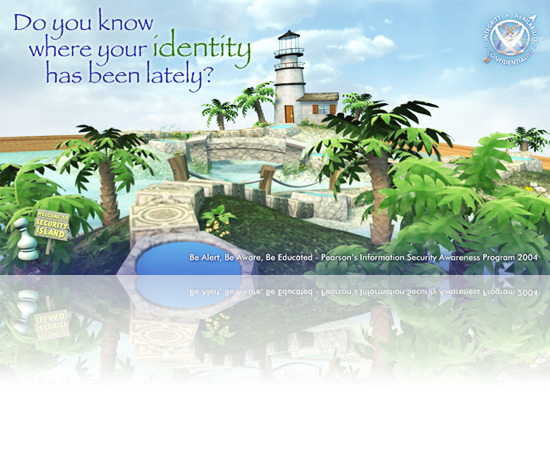 Pearson Education purchased a computer based training that requested a fun, island based theme for their Security Training. They wanted an adventure island theme where users could explore modules that explained security risks, and how the employees could help to prevent those. To promote the theme and promote the training as fun, we created interactive flash pieces, emails, animated wallpapers, and the poster to the left. The model of the island to the left was featured in Kelly Murdoch's 3DS Max Bible 6.